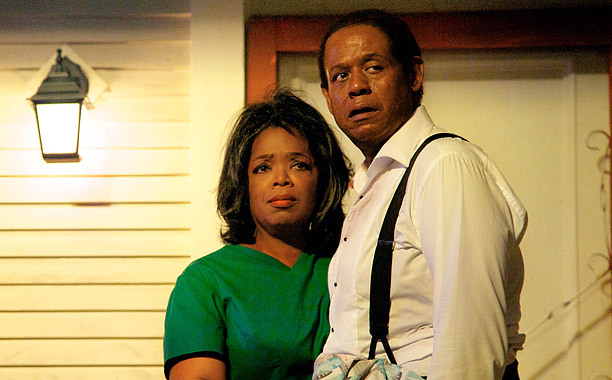 Lee Daniels' The Butler Review: It is about an American Tragedy but not in manner you would think! 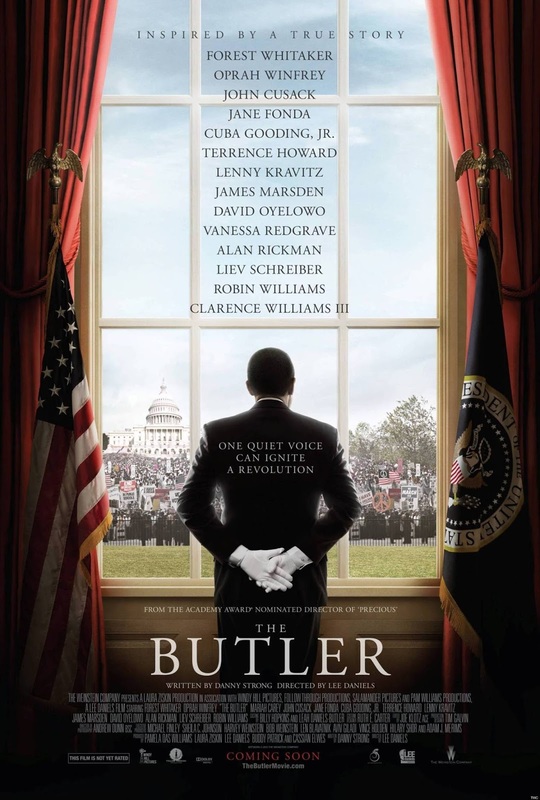 The “The Butler” which had a director’s name attached to the title marque because of a silly Hollywood legal dispute. With hind sight, this may not have been a good idea for the director. “Lee Daniels' The Butler”is about the African American White house butler and his family through the decades of the civil rights movement. The title character, Cecil Gaines, is played by Forest Whitaker starts as in all matter of fact a plantation slave ends up serving as a butler in White house for almost 3 decades. Forest Whitaker does a great job with his performances. For the audience, the main attraction of the movie is the actors who are giving great performances all around. You have many of the best African American actors on screen giving great performances in large and small roles. In that manner, it reminds me of the Spielberg’s “Lincoln”. However, this is where the tragedy lies. From seeing the movie, it is crystal clear that the Director Lee Daniels is out of his league. Generally, biographies need a central message related to the central character to avoid just being a collection of a person’s life events. While educational motivation is also relatively important, biographies are about finding, redefining, even fabricating the meaning of one's owns life using the really helpful tool of 20/20 hindsight. The director ties to deliver this with “The Butler”. While the central theme is that the racism is "Bad", the director fails to nicely meld it into the overall story focusing on the father-son dynamic. In the dynamic, you have Forest Whitaker’s character and his son on different sides of how to live in a racist society. The two represent different ages and both have roles within the history of the civil rights movement. However, this meaning is only obvious because you have "Martin Luther King" in the movie saying it. You are told this by dialogue but are never shown it on screen. You do not see how Cecil Gaines’ work as a butler effects the presidents he served. The presidents are just caricature and you could actually remove them as a whole and not miss much. The movie is only showing the servants’ half of the relationship rather than the whole. When telling a story about a servant who does not do anything beyond that job, you do not have much of a story if you do not tell the other side’s story. This is because you do not see the effects of the servant’s life which is structurally reflected in the life of whom he serves. In the case of the son, you only see him going from one event to another along the history of the civil rights movement. However, we are not shown what he actually does. Even with his father, the son has barely any interaction with him. As a result, the father and son conflict is barely developed. At the end, what is the conclusion to the father-son relationship? The kid was right all along and the father is just a stubborn old mad! However, the movie does not provide sufficient support for this. At the end of the movie, when this point is trying to be made, what you really see is an old man, the father, tired of his life and nothing else. It is not that the son was right but that the father did not win a contest that was rigged from the start. He lived to the best of his ability in the time he was born into and no one appreciates his life. No one celebrates his life. No one understands his life. In other words, the movie is rather a tragedy. It is also a tragedy as the movie does not war rent all the great performances. Oprah Winfrey, David Oyelowo, Cuba Gooding Jr. all acted the hell out of the material they were given. It is a real shame that the script and the directing could not support the performances. The director utilizes a lot of inter-webbing between the father’s and son’s lives as if he is trying to make a point but the end product does not convey what points are being made. In addition, there are a lot of montages in the movie. Some long and some short. As much as I love a good montage, having more than one in a movie is a symptom of poor storytelling. Montages are a gimmick. While it could be useful in telling a story or just be fun for the audience, it should not be overused as a tool for telling stories. In conclusion, “Lee Daniels' The Butler” was a real disappointment! It makes you leave the theater with just two things. The first, racism is bad which you already know. The second, some actors may get nominated for awards. Otherwise, you are totally empty!